For gamers of any discipline, E3 is bigger than Christmas. It’s the one week in every year where you just know that there’s going to be a slew of massive, landscape-altering announcements made, and in many ways, it’s the week that shapes the next twelve months of a gamer’s (second) life. To kick off our E3 coverage for this year, the Doublejump Staff got together to talk about the one thing each of us is hoping to see above anything else. With our recently-expanded staff, this one’s going to be looooong; sit back, relax, and enjoy the read! PLEASE NOTE: Although we are games journalists, this article covers what we hope to see at E3 as fans of the industry, not what we expect to see. Though there’s plenty of evidence that Final Fantasy VII Remake won’t show up at E3 (the most recent being a job advertisement to join the development team), one can only hope. It would be nice if Square Enix could close off its video showcase with a brief trailer showing us the new-look Cloud, Barret, Biggs and Wedge, or even reveal someone totally new such as Aerith. Although the game is still lightyears from release, it would be good to catch a glimpse of how development is going, but I remain pessimistic; Kingdom Hearts 3 (yet another title directed by Tetsuya Nomura) looks set to be Square Enix’s main focus for this event and the Japanese giant might not want to divert the public’s attention from that. 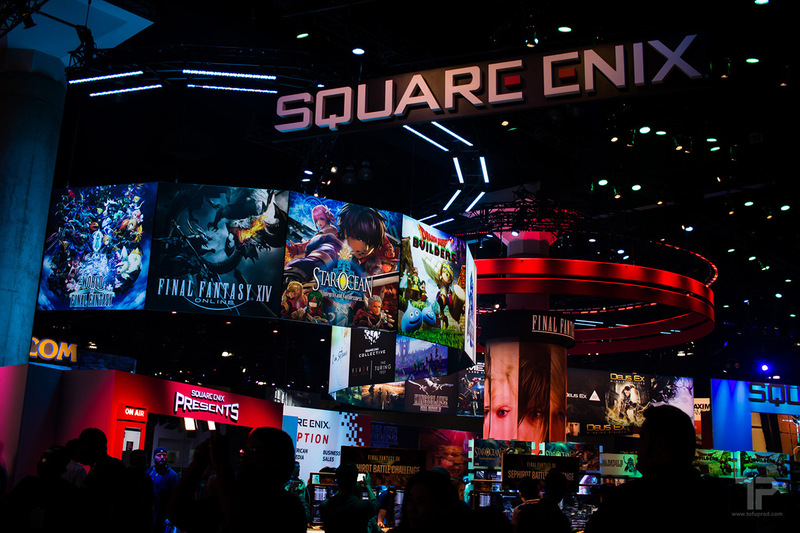 Final Fantasy VII Remake’s development has been newsworthy, to put it mildly; it began as a collaboration with CyberConnect2 until Square Enix decide that it would be better off starting from scratch with its own in-house team. Producer Yoshinori Kitase — who also worked on the original — has noted that the team’s aim is to create something that will go even beyond the original for old fans and be a memorable experience for newcomers. We also know that the remake won’t be entirely faithful to the original, but will be more in-depth and explore other characters (such as Jessie, Biggs and Wedge) as well. Even if it does not show up at E3 2018, there’s still a lot to be seen from Final Fantasy VII Remake! Not much is known about Halo 6. Its existence and development are a certainty, but that’s the only concrete news that has surfaced from 343 Industries in quite some time. The only statements that have surfaced in regards to the new Halo is that 343 Industries plans to bring back split screen play and also feels that the story could be widely improved upon. Despite the lack of news, the hype surrounding the game’s impending release is building as E3 grows closer. With a big plot twist at the end of Halo 5 and new combat mechanics that revolutionised the series, the next installment is hopefully going to take the foundations of what could be a great game and run with it. Square Enix has already confirmed that Shadow of the Tomb Raider will be making an appearance at E3 this year, and with the initial announcement still being recent, it’s the perfect opportunity to show off some of the new gameplay elements. The actual announcement was a little disappointing for many who’d been following it, in that all of the information released had been leaked prior to the event anyway, so this is the first opportunity Square Enix has to really surprise the fans with something new and interesting. It’s safe to assume that the new gameplay will consist of a new mechanic, a quick combat section and finish with an action set-piece, but since Shadow promises to be the end of the ‘origin’ trilogy and wrap up Lara’s development, it’d be great to see some hints to that character development as well. The most recent Tomb Raider games were exceptional, and the first hint on whether Shadow lives up to expectations will be the E3 presentation. Everyone, let’s try not to leak it this time. Hideo Kojima is that special, inspired kind of mental that’s still all too rare in the realm of video game development, and any new IP from him is going to be at the top of the list of things about which I want to learn. His new project Death Stranding has already yielded a couple of wonderfully weird trailers and speculation fevered enough to make your average Star Wars fan look downright unimaginative. Was the Konami feud a work? Is Death Stranding actually a new Metal Gear game? Does Norman Reedus’s apparent inability to open his eyes past ‘squint’ ACTUALLY reveal him as a long-hidden Big Boss clone (Codename: Boondock Snake)? Expect these answers and more to absolutely not be answered by Kojima, who gulps down our confusion like wine. But another wonderfully opaque trailer full of surrealist sci-fi imagery, weird foetus jars and prime Kojima weirdness would be most welcome. If we can’t play the game yet, at least we’d get to enjoy YouTube lose its collective mind just a little more. Plus, if we could get some links between Death Stranding and P.T. confirmed, all the better. P.T. was a wonderful little experiment in horror gaming that deserves some kind of follow-up. The Nintendo Switch had a very good first year both in terms of sales and reception, but it was largely carried by a pair of Goliath titles: The Legend of Zelda: Breath of the Wild, and Super Mario Odyssey. It had a few other good titles, with Splatoon 2 and Mario + Rabbids Kingdom Battle leading that line, but Breath of the Wild and Super Mario Odyssey were the only real system-sellers. If Nintendo wants to reach its lofty goal of 20 million Switch sales by the end of its fiscal year, then it needs to bring nothing less than its A-game. The announcement of Pokémon: Let’s Go, Pikachu & Eevee is a good start for finishing out the year, and Pokémon will definitely bring in a large sum of hardware sales, but with companies like Sony having a powerhouse lineup for the rest of the year Nintendo really needs to step it up. Giving onlookers and those on the fence a bevy of announcements and release dates for first party games is a must. Fans are plenty excited at the prospect of the new Metroid game that was teased this time last year, and Yoshi also is highly anticipated; announcing those games’ release dates would give people reasons to invest for now and the foreseeable future. The most important game in Nintendo’s potential lineup, however, is Super Smash Bros. Fans were beside themselves at its announcement, and a holiday release date alongside Pokémon: Let’s Go would be the perfect combination to carry the Switch through the beginning of next year. At that point, any other announcements would just be the cherry on top. The Last of Us: Part II may very well be the most anticipated of the four main games that Sony plans to focus its E3 2018 press conference on. Announced at the PlayStation Experience event back in 2016, the sequel to 2013’s critically-beloved The Last of Us has been in development since 2014 and we still don’t know too much about it, aside from the fact that it’s set five years later and will focus on Ellie as the main playable character. The trailers that we’ve seen so far haven’t given too much else away in terms of the plot, but have indicated that it’ll be based around a theme of revenge (creating a healthy number of fan theories). A release date announcement on stage at E3 would send fans into a frenzy of excitement and pre-orders. If that’s not possible, then some gameplay footage would be plenty to keep fans excited — and guessing — until Naughty Dog is ready to release its latest masterpiece. Devil May Cry is goddamn radical and everyone should know it. That sums up my thoughts pretty well already, but let’s pad this out. According to recent rumours, Devil May Cry 5 should finally be revealed by Capcom at E3 this year (probably on the Sony stage) and I’m hoping for a Monster Hunter: World-style debut: a flashy AAA sequel that sheds that lingering jank and inaccessibility and gets everyone on board with the wonderful genre that is ‘Character-Action’. Platinum Games is doing the Lord’s work with the Bayonetta series and Ninja Theory’s 2013 reboot wasn’t half-bad, with some fantastic art direction and a decent attempt at Western-ising a niche genre — but it was no Devil May Cry. We already need at least a dozen more of these types of games every year — can never have enough — and Devil May Cry 4 first released over a decade ago (!). C’mon, Capcom. Give us more Dante. Few games have created a deep personal connection with me like the original Life is Strange did when it came out a few years ago. Time travel abilities aside, I found myself sharing a lot of qualities with Max Caulfield as a character. Dontnod did a fantastic job in making sure every character in Arcadia Bay possessed that complex mixture of emotions and traits that makes us all human. The game also explored some very heavy themes that rarely get featured in video games, such as domestic violence, suicide and sexual assault. It was an emotionally overwhelming game but it moved me like no other game has done before or since. Unfortunately, Dontnod has confirmed that the sequel will have a new setting and completely new characters. Outside of that, the studio has not really made any details on the contents of the game clear. I do trust that Dontnod will be able to create a new set of compelling characters just as they did for the original game, but whether or not it will be able to create another playable character like Max remains to be seen. It will also be interesting to see what kinds of game mechanics will feature in Life is Strange 2. Max is capable of rewinding time and focusing on photos to alter past timelines in the original game, but I would like to know if the new game’s protagonist will also carry those powers, or possess their own unique abilities. Cyberpunk 2077, CD Projekt RED’s current project, is looking to be more like Terry Gilliam’s “Don Quixote” every day (the film was in production for almost 30 years). Cyberpunk 2077 is still in development, unlikely to see a release date any time soon. However, that doesn’t remove the possibility of a new trailer, some screenshots or maybe — if we’re lucky — some pre-alpha gameplay. That being said, the latter may not be possible as CD Projekt RED just recently put out a job listing for a new combat designer. According to the listing, the studio is in search of “a talented Combat Encounter Designer who will join [its] Warsaw team in creating and balancing all combat encounters within Cyberpunk 2077”; another sign that the game is still a long, long way from release, but hey, we can dream. According to CD Projekt RED itself, Cyberpunk 2077 is looking to be bigger than The Witcher III, which in itself is a 100–150+ hour game, based heavily on combat. This is all speculation at this point, but I am keen to see what CD Projekt RED has in store for Cyberpunk 2077. I’m glad that this game is being primarily developed for the PC, giving it a good foundation for when the developer decides to port it to the PS5 or the Xbox 1080 Melon. I mean, who doesn’t love a good drawn-out mystery? Phil: Anthem — EA’s redemption? Anthem is what many people consider to be EA’s last real opportunity to redeem itself. It’s been a rough few years for the industry giant, from getting the infamous “Worst Company in America” award two years a in a row, to the fiasco known as Mass Effect Andromeda’s development, to the closing of Visceral Games and cancellation of its highly anticipated Star Wars game. All of this, of course, culminated in the most controversial loot box business model one could think of (Star Wars Battlefront II and Need for Speed: Payback) to ensure that much of the gaming public has the company on a very, very short leash. While EA is pumping out its usual FIFA, Madden and Battlefield titles, all eyes are on Anthem. Based on what we know so far, it’s highly stylized, has some of the original Mass Effect team working on it and promises a massive open world with insane co-op capabilities and supposedly game-changing gameplay mechanics. More importantly, though, this might be the game that sees EA finally step away from loot boxes and season passes entirely. There’s a lot of pressure on EA and developer BioWare; considering that Destiny 2 is already in the space and Ubisoft plans to show Tom Clancy’s The Division 2 at E3 as well, the bar is very, very high and it’s hard to see anyone giving them too much room for error. It has been 13 long years since the last mainline Kingdom Hearts release. Sure, the countless games that have come out during that time have managed to keep fans’ attention and the pseudo-sequel Kingdom Hearts: Dream Drop Distance answered some questions, but it left a lot more to be answered in the inevitable Kingdom Hearts III. It is safe to say that I have been waiting too long for the fabled third instalment, but with some trailers releasing in 2017 and early this year, Kingdom Hearts III looks to be only months away. Based on the early gameplay footage, I already knew that Kingdom Hearts III was going to look gorgeous, but didn’t realise how close to the source material it would come to be (especially considering that Pixar worlds are making their Kingdom Hearts debut). It wouldn’t surprise me if Square Enix uses its E3 press conference to finally announce a release date for Kingdom Hearts III — especially given the game’s 2018 release window, as revealed at last year’s D23 event. I’d also love to see a new world revealed, or some more information about the Big Hero 6 world that was announced some time ago now. Whatever happens, though, I’m simply excited to get Kingdom Hearts III in my hands; you can bet your bottom dollar that I’ll be keen to discuss it in detail be it on Doublejump itself, or on our DIscord server (linked below) when the time finally arrives! After seeing Monster Hunter World’s incredible success this year, I can’t wait to see what it’s edgy younger brother can bring to the table. Being developed for the PS4 as opposed to the Vita gives it the opportunity to really shine after Bandai Namco simply used a bunch of the original game’s assets and designs for the sequel. After its latest trailer hinted at a few lore-significant additions, it’s really exciting to see the potential the story has, and I can’t wait to jump into its post-apocalyptic world and devour monsters with giant, transforming, monster-infused weapons. Here’s hoping Sony gives a spot to an admittedly-niche, but potentially phenomenal addition to the franchise. Our longest and largest collaborative effort yet was bound to be a diverse one, and we think it’s delivered! With that being said, there are so many announcements that could be made that we’re bound to have missed the one you’re most excited for! 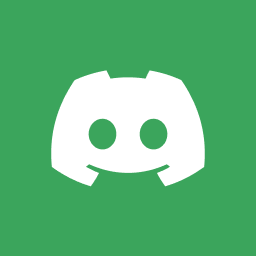 Jump into the comments, or onto our social media and Discord server, and let’s chat about yours!